(TORONTO) – It does not get better than this. Those seeking the world’s most advanced luxury motoring experience – combining awe-inspiring performance and technology with the calm of a personal sanctuary on wheels – can stop searching and immerse themselves in the 2009 Lexus LS600hL. The all-wheel-drive LS600hL ably delivers maximum moments of supreme satisfaction, drawing on its Lexus Hybrid Drive for performance equal to that of a 6.0-litre V12, but with the fuel efficiency and emissions of a 3.5L V6. What’s more, driver and passengers will be enthralled by this advanced automobile’s smooth, whisper-quiet ride, and delighted by its many luxury convenience and comfort features. Most importantly, drivers and passengers will be well-protected by the most innovative safety technologies in the world. The result is a new definition of luxury motoring – one without parallel – placing the 2009 LS600hL in a class by itself. 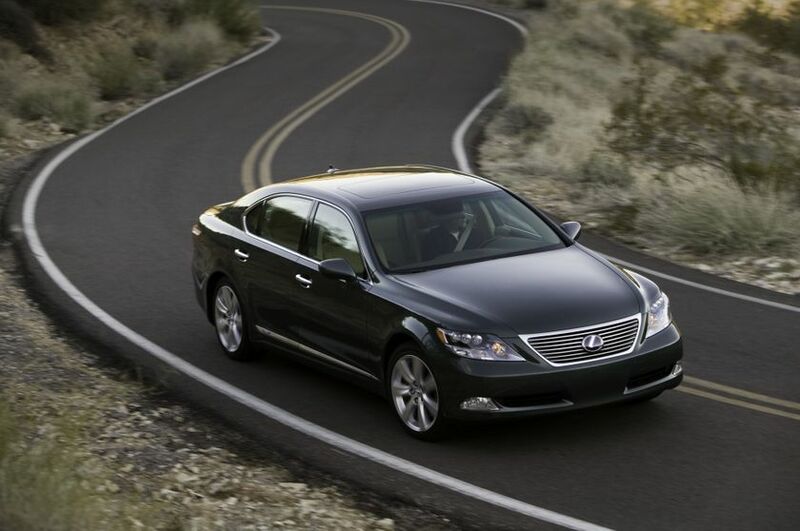 The 2009 Lexus LS600hL is now on sale across Canada, with a suggested retail price starting at $119,950. The 2009 Lexus LS600hL is available in one remarkable model, featuring the sophisticated Lexus Hybrid Drive built around a 5.0L V8 and specially tuned to this all-wheel-drive prestige hybrid luxury sedan. Generating up to 438 net power and up to 385 lb-ft of torque, on the gas engine, the LS600hL achieves an impressive fuel efficiency of just 10.6L / 100 km in the city and 9.1L / 100 km on the highway and qualifies for a Tier 2 Bin 3 emissions rating. The 2009 Lexus LS600hL delivers performance that heralds the future of luxury motoring, representing the most sophisticated engineering of the pioneering Lexus Hybrid Drive to date. At its heart is a 5.0L V8 that’s unlike any eight-cylinder engine created for a passenger car. Lexus engineers devoted special care and attention to every aspect of its design to draw maximum performance and efficiency while minimizing noise and vibration. This remarkable engine features key moving parts that have been polished to a mirror finish to minimize friction, and every engine is checked by a master machinist, who uses a stethoscope to search for minute yet abnormal noises and ensure that each engine is properly balanced. This engine is mated to high-torque electric motors, a storage battery and a sophisticated energy management system to deliver 438 total system net power and up to 385 lb-ft of torque on the gas engine. This is then mated to a carefully specified, electronically controlled continuously variable transmission. The result is performance in a class by itself: The power of a 6.0L V12 enhanced with seamless acceleration for a surprisingly smooth and quiet motoring experience. The all-wheel-drive 2009 LS600hL delivers performance without equal, but does so under perfect control. All models feature lightweight yet highly responsive variable gear ratio electric power steering for maximum control in all driving conditions. The state of the art Lexus Vehicle Dynamics Integrated Management (VDIM) system is standard fitted and is backstopped by Vehicle Stability Control (VSC) and Traction Control (TRAC) technologies. The LS600hL is equipped with independent multi-link front and rear suspensions. Each features an air suspension system, stabilizer bar, and anti-vibration subframe, while the front suspension also benefits from carefully engineered anti-dive and anti-squat geometry. The all-wheel-drive LS600hL is further enhanced with an Adaptive Variable Air Suspension (AVS), front and rear. The LS600hL owner demands an extensive suite of active and passive safety systems to protect vehicle occupants – and in this prestige hybrid luxury sedan, Lexus delivers its most sophisticated safety package to date. In addition to all-wheel-drive, VDIM, VSC, TRAC and other active handling and control design decisions, the LS600hL features a direct tire-pressure monitoring system and a generous complement of braking technologies. Ventilated disc brakes are fitted at all four corners. These are engaged via an Electronically Controlled Brake System (ECB) and enhanced with the Lexus Antilock Braking System (ABS), Brake Assist (BA) and Electronic Brake Force Distribution (EBD) as standard equipment. The LS600hL also features an electric parking brake. Inside, the LS600hL is more than a private, rolling sanctuary – it’s also a safe haven. Standard safety systems include a cocoon of eight airbags – including driver and front passenger airbags, driver and front passenger knee airbags, front seat mounted side airbags, and front and rear side /curtain airbags. Upgrade to a model enhanced with the Premium Package and benfit from added rear seat side airbags for a total of 10, while the LS600hL fitted with the Premium Executive Package adds an 11th airbag that’s also an industry-first – a submarine prevention airbag built into the right rear seat Ottoman. Three-point lap and shoulder belts are fitted in all positions, and include power adjustable “B” pillar shoulder belt anchors plus front and rear seat pre-tensioners and force limiters. Available upgrade packages include additional safety items, such as a cruise control system that uses millimetre-wave radar to maintain safe cruising distances and the Lexus Advanced Pre-Collision System with Driver Monitor, which can detect obstacles in the vehicle’s path, monitor the driver’s reactions through stereo cameras and determine whether an accident is imminent, and take measures to minimize potential injury to occupants. And because safety is important even when the LS600hL is parked, all models are also equipped with an anti-theft system, engine immobilizer and first aid kit. Buyers may personalize their 2009 Lexus LS600hL prestige hybrid luxury sedan on the Lexus of Canada web site (www.lexus.ca) or by visiting any Lexus Dealer across Canada. Buyers of any 2009 Lexus LS600hL prestige luxury hybrid sedan enjoy the peace of mind that comes with the industry-leading Lexus comprehensive warranty that covers the entire vehicle for four years/80,000 kilometres. Power train components are covered for six years/110,000 kilometres, hybrid related components are covered for eight years/160,000 kilometres, major emission control components are covered for eight years/130,000 kilometres and corrosion perforation for six years with unlimited distance. Service adjustments - minor repairs not usually associated with the replacement of parts - are fully covered for one year/32,000 kilometres, while Lexus owners also enjoy the Tire Road Hazard Protection warranty and access to alternate transportation. The purchase of a new LS600hL also includes free membership in Club Lexus, an online convenience service that places important vehicle ownership information at the guest’s fingertips. Includes: 4-zone independent automatic climate control; Rear seat DVD entertainment system with audio/DVD remote control, 9” Liquid Crystal Display monitor and two sets of wireless headphones; Rear seat side airbags; Rear power adjustable seats featuring heating/air conditioning and the Lexus Rear Seat Memory Seat System with one memory setting; Premium leather seat surfaces; Rear cool box; Rear side window auto sunshade; Escaine head lining; Leather covered upper instrument panel and door interior surfaces. Includes Premium Package, plus: Lexus Advanced Pre-Collision System; Lexus Obstacle Detection System; Lexus Driver Monitoring System; Milli-wave radar cruise control system; Right rear seat retractable Ottoman with Ottoman seat cushion submarine prevention airbag; P235/50R18 all season radials; 18” aluminum alloy wheels; Wheel locks; Full size spare tire; Infrared body temperature sensor; Rear seat DVD player; Rear seat fold-out table; Rear seat armrest with integrated 12v power supply; Right rear seat with Shiatsu Massage system. The Lexus Hybrid Drive is customized to each model. On the all-wheel-drive LS600hL, the Lexus Hybrid Drive features a highly sophisticated 5.0L V8 gasoline engine mated to high-torque electric motors driving the front and rear axles, a powerful storage battery, and a sophisticated energy management system. The system allows the gasoline engine and electric motors to work independently or together, switching seamlessly between modes as driving conditions demand. Often at startup and low speeds, when energy demand is low, the LS600hL is powered by the electric motors. As speed increases, the gasoline engine kicks in. It also generates electricity to power the electric motors and charge the storage battery. During acceleration, the gasoline engine receives additional power from the electric motors, thus improving performance, saving fuel and reducing emissions. With 438 net power, available across a broad band of engine speeds, plus up to 385 lb-ft of torque on the gas engine, the Lexus Hybrid Drive gives the LS600hL jaw-dropping power and awe-inspiring acceleration, on par with that of a 6.0L V12. Impressive fuel efficiency – equal to that of many 3.5L V6-equipped mid-size cars. Features: Aluminum alloy block; 32 valves; Variable Valve Timing with intelligence electrically-driven on intake cam (VVT-iE); Variable Valve Timing with intelligence on intake exhaust cam (VVT-i); Direct Injection System with Dual Knock Sensors; Two-way direct cylinder and port injection system; Electronic Throttle Control System with intelligence (ETCS-i); Acoustic Control Induction System (ACIS); Stainless steel exhaust; Dual integrated chrome tailpipe diffusers. This system greatly simplifies parking, and works for both parallel and angle parking situations. The driver pulls up to a parking space and at the press of a button, the vehicle determines whether it will fit, and then parks itself. The driver controls the speed using the brake pedal, while the car steers itself into place. The pre-collision seatbelt motor preemptively retracts the driver and front passenger seatbelts. The Brake Assist system is placed in stand-by mode, priming the system to deliver the necessary braking force as soon as the brake is applied. The suspension stiffens to minimize nosedive and prevent unloading of the rear wheels to maximize braking. The Emergency Steering Assist and Lane-Keeping Assist systems are triggered to help the driver maintain control of the vehicle.